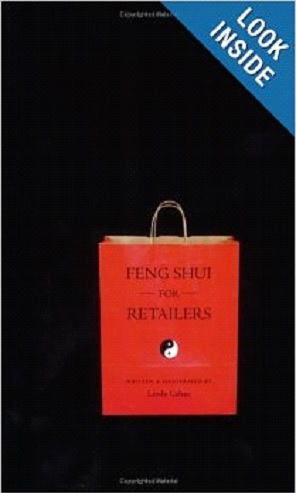 Here are some budget friendly tips from visual merchandiser Linda Cahan author of the book Feng Shui for Retailers” to help you generate more sales in your retail store. 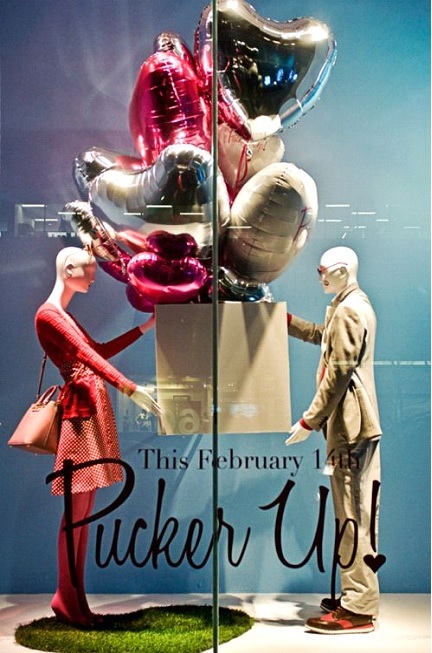 Linda Cahan, was recently featured on MSNBC sharing examples of how good visual merchandising can increase store sales. 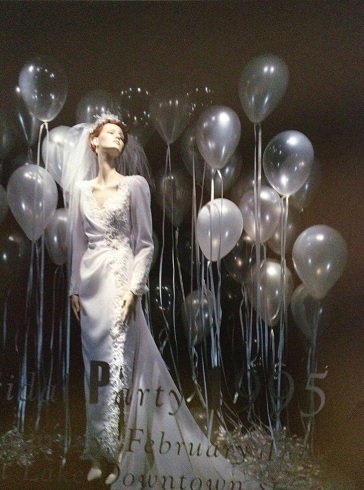 Speaking of visual merchandising, we included examples in this post of store displays using mannequins with a very budget friendly but often overlooked prop – balloons. 1. Clear the Clutter We’ve all heard this endlessly. But, we hear it and I say it yet again because it works better than anything else to change the appearance, energy and ambience of your store. This doesn’t mean that if you have a “cluttered, hunt and peck” style of merchandising you now have to switch to museum geometrics. This means getting rid of stuff on the floor, behind your cash/wrap desk, in the corners and halls. Clean out your stockroom and make it easy to find the things that need finding. Start with one area a week until your store is done. It will feel fresh and new. 2. Focus on Focal Areas If you can’t re-do your store focus on the areas people see first. Focal areas are the first 5 areas seen as people enter your store. Take a survey among your staff, customers, friends and family to learn what those areas really are – not what you think they are. Now, merchandise them with colorful products, use color stories and add color and signs. Last but not least, light each area up! 3. Play the Angles You can direct how customers walk through your store by how you angle your front mat, your fixtures and signs. If you want people to move to the left, angle fixtures and your front mat to draw them to that area. Remember that every angle creates another focal point at the end so make that great. 4. Update the Cash/Wrap Desk This can be as easy as repainting if your desk is wood or, if you’re stuck with laminate look at using decorative tiles, decoupage, adding wood on top of the laminate, rippled tin roofing (depending on your image), fabric panels…. Basically anything you can glue or screw onto your desk will most likely make it more interesting than basic, boring laminate. 5. Apply Make-Up Paint is the magic fix for many areas. If your store has always been neutral colored, live it up! Add a great color on one focal wall and watch the area pop! For a full article on the meanings of each color check out www.lindacahan.com and click on Articles and then Recent Articles. 6. Re-do your signage inside and out Signs get old fast. You can update your store immediately by updating your signs. Consider new sign holders. If you’re currently using plexi and your store is more classic, look at picture frames. Just make sure the frames are either all the same style and color or work together visually. 7. Light it Up! The trend is moving quickly towards LED lights. If you are getting ready to redo your lighting, LED’s are becoming more color-correct and affordable. They will pay for themselves with energy savings very quickly. You’ll be able to add spotlights on prime focal areas once you reduce your energy and bulb costs. While redoing lighting is always costly, when done right it can transform the look and feel of your store. 8. Add color to your fixtures & shelving Your fixtures can be easily updated in several ways. For wood fixtures you can enliven them with a fresh coat of paint. If you have a table consider covering the top with a piece of foamboard covered in fabric (stretched over neatly and stapled to the back.) Use tape over the staples to avoid scratching the table surface. If you have a shelving fixture cover the base of the shelves with fabric-covered foamcore or, paint the back wall of the fixture to reflect more light. 10. Bring Feng Shui Principals into your Store Design & Décor Get rid of anything that blocks your entrance including: trees, bushes, garbage cans, boxes, umbrella stands, bunched up entry mats, fixtures or low-hanging flags. Move fixtures that impede the flow of customers throughout your store and through each area. Remove sharp corners in tight spaces. Add light to dark corners and to low ceiling areas. Whenever you have a choice to add a decorative element to the store make it natural. 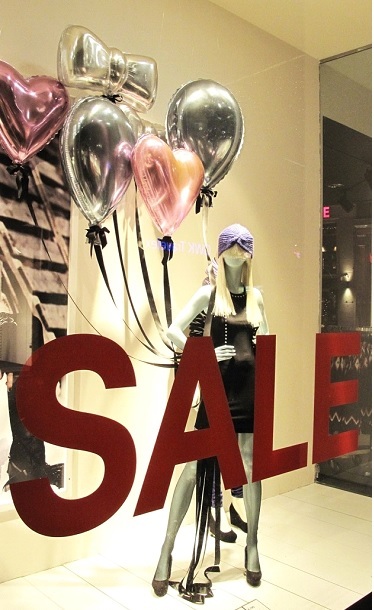 Be aware that all the leased space in your store impacts sales and the people who work there. This includes: stockrooms, hallways, offices, restrooms, attic, basement, loading dock, parking lot (if you are responsible for it), break room and the back-door area. 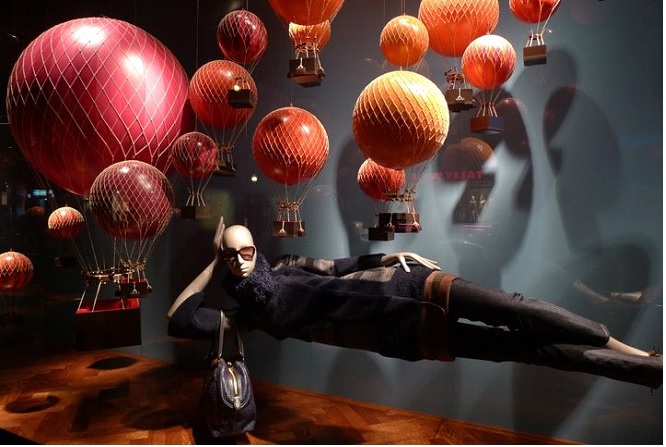 Since we sell new and used mannequins, we put a lot of emphasis on window displays, to attract shoppers to come inside the store. 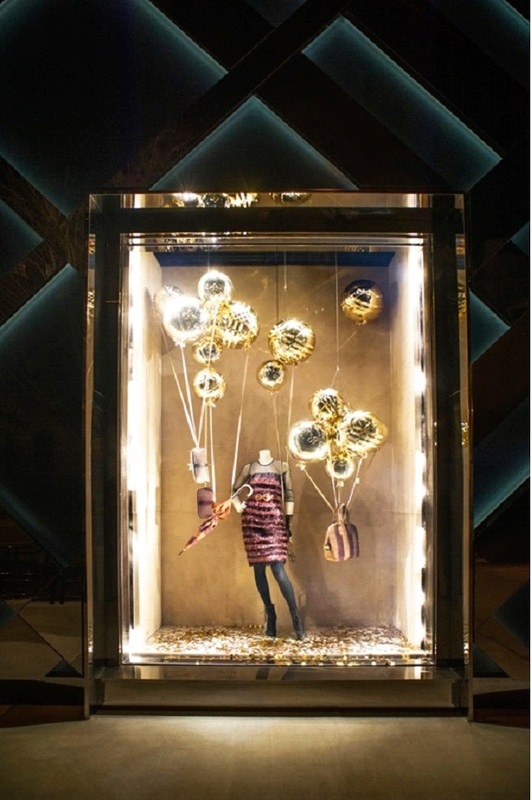 But of course good merchandising should take place INSIDE as well the store as well as in the window. 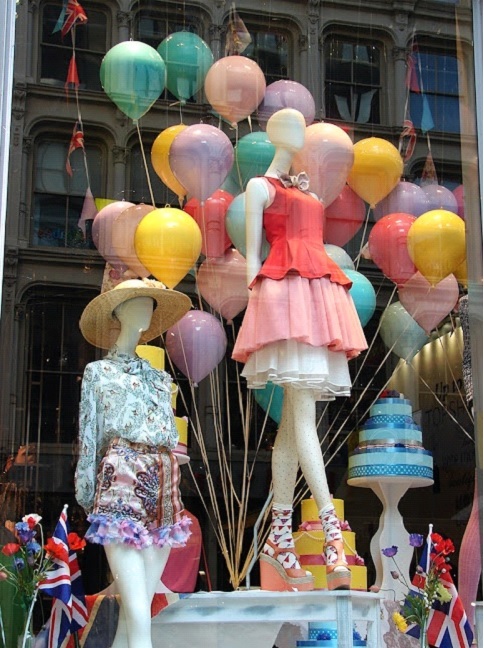 To see examples of budget friendly retail window displays check out our Pinterest boards which are categorized by industry and holiday. These are all great ideas! I usually come across articles that are not at all conducive to my small rented space, but I actually wrote these down and will implement !